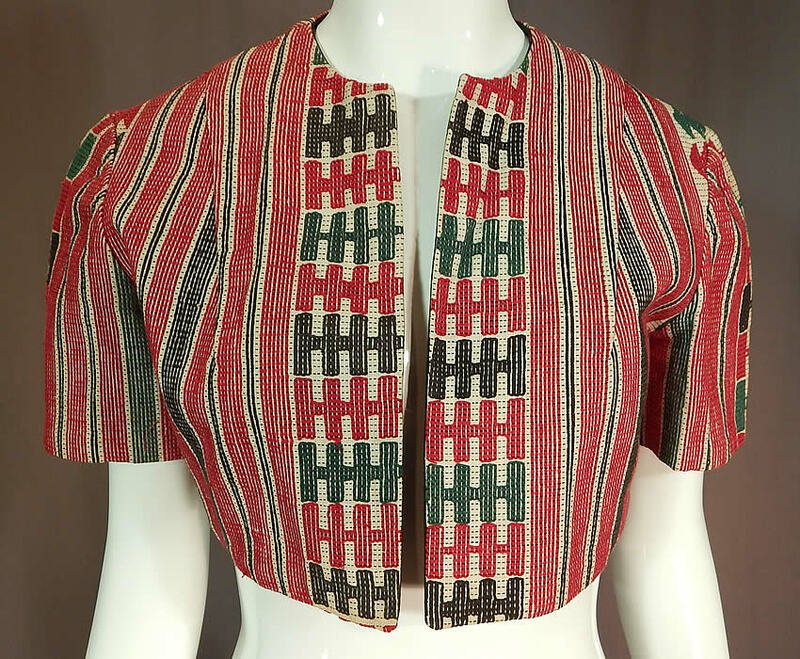 This vintage ethnic embroidered woven red short cropped boho bolero jacket shrug dates from the 1940s. 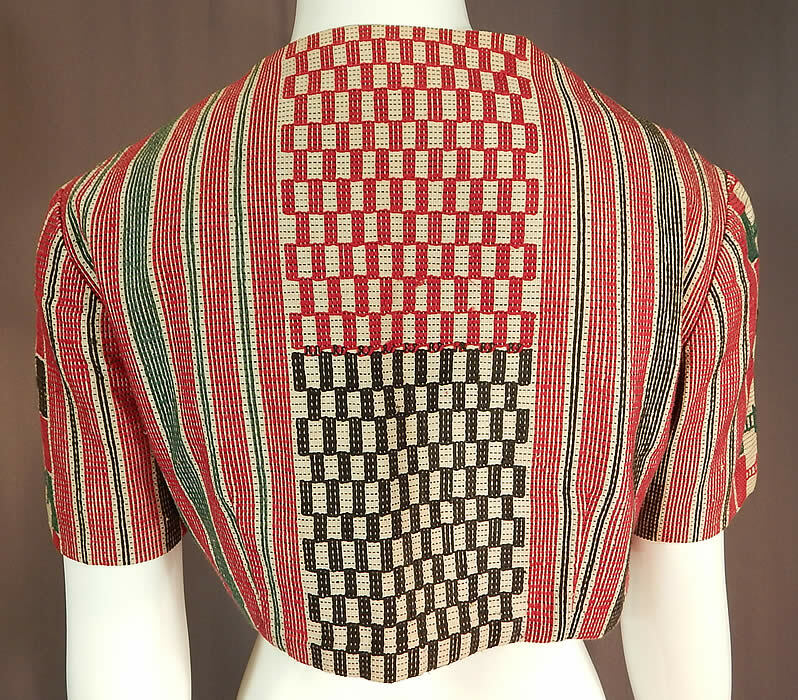 It is made of a red, green, black and white woven embroidered cotton fabric with ethnic inspired designs, striped, checkered patterns. 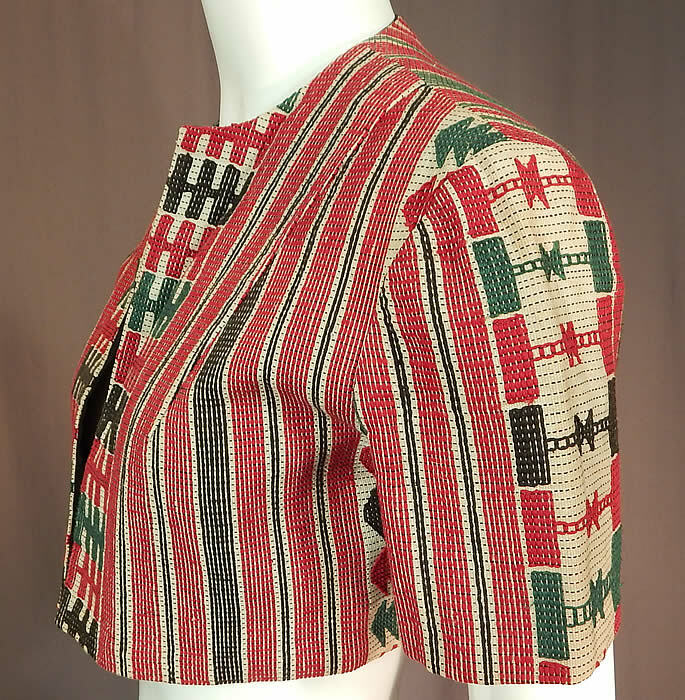 This beautiful boho short crop top bolero jacket shrug has an open front, no closure, short sleeves and is fully lined in a black cotton fabric. 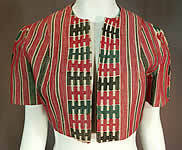 The jacket measures 13 inches long, with a 36 inch bust and is 15 inches across the back shoulders seam. It is in excellent condition. This is truly a wonderful piece of boho wearable art!